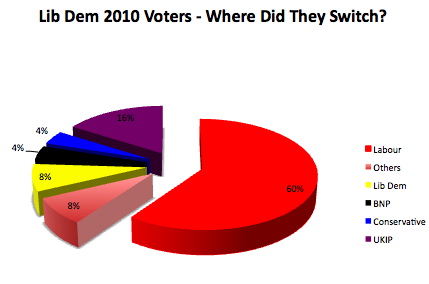 Survation interviewed 507 registered voters in Barnsley Central between February 24 and 25. As you can see, actual results for the 5 national parties were very similar to those published in our survey. Labour increased their share of the vote, the Lib Dem vote did indeed collapse and the UKIP made a strong showing. 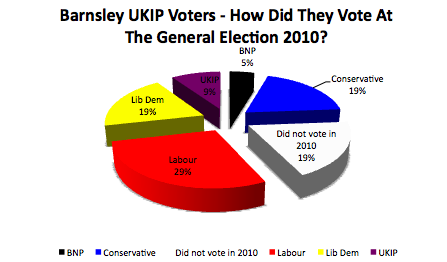 Who voted for UKIP in Barnsley Central? call Damian Lyons Lowe on 020 7490 4094 or 07590 821 301 out of office hours.